A Grass Valley pair accused of having several purses and bags holding stolen goods while squatting in a vacant house remained Wednesday in the Nevada County Jail, authorities said. 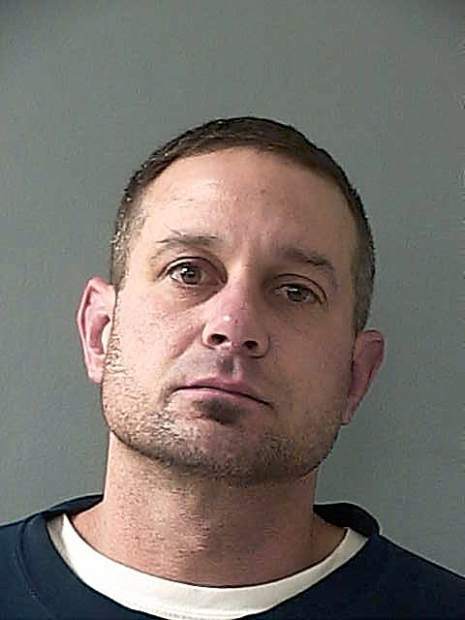 Tristan Martin Appleton, 42, and Kathleen Rhianna Baldwin, 30, each face charges of second-degree burglary and receipt of known stolen property, jail reports state. Baldwin faces additional charges of unauthorized use of another’s ID, vandalism and an unrelated burglary charge, reports show. Nevada County deputies found the pair on Monday after responding to reports of suspicious activity in the 12000 block of Pearson Road, Sheriff Keith Royal said. A neighbor called authorities on Sunday about the home, which she was watching for someone. Deputies responded and found no one, though they saw signs of vandalism to the front door and garage door, Royal said. They then returned Monday, finding Appleton, Baldwin and two people later determined to have no connection to any crime, the sheriff said. “They had rented this from a third party and have lived there for about a month and a half,” Royal said the suspects told deputies. Authorities learned moments later that there was no lease, and that Appleton and Baldwin began living at a home they knew was vacant. Additionally, deputies found some 15 purses, bags and suitcases on the floor containing someone else’s property, Royal said. Appleton’s bond is $50,000. Baldwin’s is $100,000, jail reports state.